We have just received important information about Nutone centralvacuum systems. Nutone one of the leading pioneers in the central vacuum industry will be raising the prices on their central vacuum units. These systems include the Nutone CV400, VX475, VX475C, VX550, VX550C, VX1000 & VX1000C. We here at ThinkVacuums.com pride ourselves on offering the best valued central vacuum pricing to our customers, and will lock in our sale price until the end of February. Builders and home owners should take advantage of the Nutone sale pricing while supplies last. This series of Nutone VX Central vacuums are far quieter and offer better filtration then other technology used in older central vacuum designs. Reasons for buying NuTone vacuum products: NuTone is one of the leading manufacturers of vacuum cleaners in the world. They have a reputation for providing high quality products as well as all NuTone vacuum cleaners are convenient to install. The slim profile of the vacuum cleaner helps it to fit into tight corners as well. 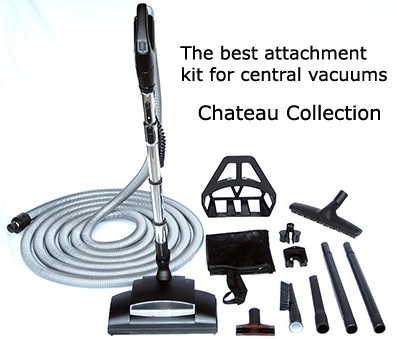 Today, NuTone is considered as a trusted brand in the business and they not only provide high quality central vacuums but a full line of genuine central vacuum accessory kits such as the Nutone CK350-CK355 as well as basic kits like the CK120 and the CK230. We also offer a full line of Nutone central vacuum replacement bags and filters. NuTone introduced their first vacuum system in 1973 and since then they have been one of the most popular brands in the market. Prices like these will not last forever so take advantage of the Nutone sale pricing and order your Nutone central vacuum!